The Vital Apparatus Vent will deliver a Weighted Companion Cube in three, two, one. Posted byMartin Maciaszek	 2010-07-14 2010-07-23 Leave a comment on The Vital Apparatus Vent will deliver a Weighted Companion Cube in three, two, one. 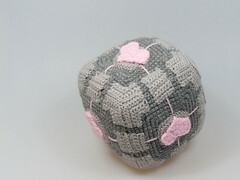 Ein gehäkelter Companion Cube. This was a triumph! I’m making a note here, huge success.